Perfecting Pizza Has the Tools You Need to Open, Operate and Grow Your Pizzeria. How To Videos: 24/7 Access to our expert how to video series on pizza, sauce, dough, appetizers, and more. Business Tools: Unlimited downloads from our library of templates, spreadsheets, checklists, and training manuals. Pizzeria Profiles: Our Pizzeria Profile Series takes you behind the scenes of the most successful pizzerias in the country. Member Discounts: Get access to our network of pizza industry partners and save with special discounts. We are offering a special limited time 30-day free trial for FIRE WITHIN customers using the coupon code FIREWI831. Just visit perfectingpizza.com today to sigh up for the free trail and start growing your pizzeria today! Cancel anytime in the first thirty days and your credit card will not be charged. The One-On-One Pizza Coach is just $89 per month and gets you access to pizza professionals with decades of pizza experience. Pizza Coach™ is a One-on-One online consulting platform that allows you to ask our team of experts straightforward questions about the pizza business and gives you someone to bounce ideas off. You simply use the online portal to submit your questions along within images, menus, floor plans, etc. and perfectingpizza.com will review, forward to team member best suited to answer, and get back to you as soon as possible. Plus, get a free copy of the pizza marketing e-book Growing Pizza just by visiting the site – perfectingpizza.com and signing up for the email newsletter. No strings attached! 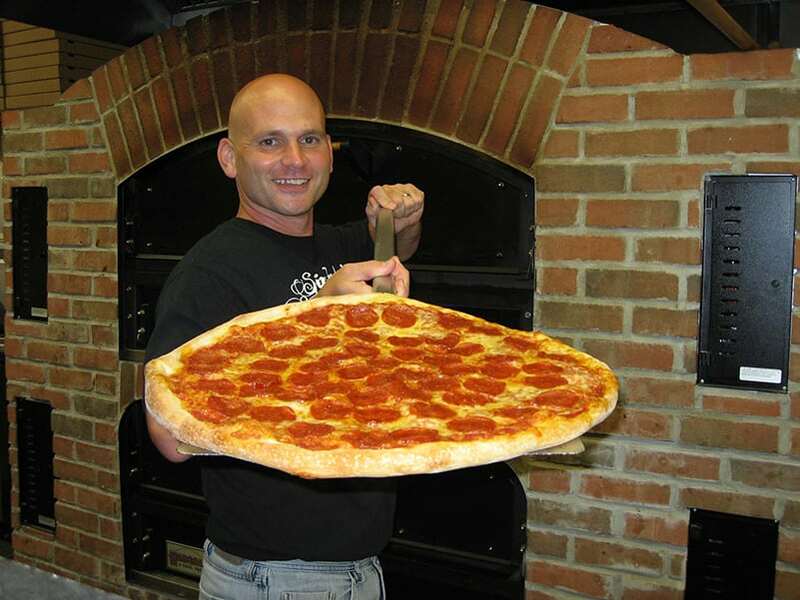 Michael Sheperd is a four-time World Pizza Champion who has owned and operated multiple pizzerias in Northwest Ohio, most recently – Six Hundred Downtown in Bellefontaine. Over a span of 20 years he has grown small-town locations into a multi-million dollar company by using nontraditional marketing methods, out-of-the-box thinking and a systemic approach to operations, staffing and public relations that consistently earned over 20% in profits. Michael’s 24+ years of pizza experience started with one of the big chains where he delivered pizza through high school and college. He earned his Applied Business degree in 1994 and launched his first pizzeria in 1997. Since then he went on to open a total of three pizzerias in Northwest Ohio. His shops covered a wide range of concepts — a del/co, carryout only, and a full-service pizzeria restaurant with 120 seats. He was runner-up for the Ohio SBA’s Small Business of the Year in 2006, Hardin County Business of the Year in 2007, and won the 20 Under 40 Entrepreneur Award in 2008. He is also certified in Neapolitan & Classic Italian Pizza Making by the International School of Pizza. His pizzerias have won numerous awards for pizza making over the years at pizza competitions across the country. Michael has earned eight medals from the World Pizza Championships held in Salsomaggiore, Italy, for Fastest Dough, Largest Dough, and Team Acrobatic, including three gold medals. He is the only American to ever win the Largest Dough competition at the World Pizza Championships. Michael is retired from operating his pizzerias but wants to share his vast knowledge of the pizza industry with operators such as yourself in hopes of helping you avoid common pitfalls and headaches that plague the industry and hopefully help you achieve profits that you never thought were possible. Outside of pizza Michael’s time is consumed by family, running, and OCR (Obstacle Course Racing). Siler Chapman began his college career at UNC Charlotte with his sights set on mechanical engineering. After 9/11, he realized he was needed in elsewhere. He felt that he was being called to work with family and friends while serving his community. He quit school and with the help of his family, Siler opened Si’s Pizzeria in Fort Mill, SC. He grew Si’s Pizzeria to three locations in North and South Carolina. The pizzerias were full service with 100+ seats, delivery, and take-out. Having to build a brand from the ground up to what would become a landmark in the community was no easy task. Siler’s determination to always win was a big part of his success. For 12 years, he worked with the young people in the community through his pizzeria and his wakeboarding and snowboarding ministry. Siler became well known in the community for throwing dough locally and nationally. In fact, he holds three world titles for acrobatics, gaining him appearances on the Food Network, the Ellen DeGeneres Show, The Steve Harvey Show and The Today Show just to name a few.Siler is a founding member of the World Pizza Champions and an organizer of the World Pizza Games (held at the International Pizza Expo) since 2005.